Do you like to run, bike, swim, hike, or play sports? Tim Borland is an individual who embodies what it means to make an impact through adventure. A few days ago I had the chance to meet Tim. He ran 63 marathons in 63 days—certainly an inspiring feat. He didn’t run for a claim to fame though. In fact, he didn’t mention anything about his running when I spoke with him—someone else brought it up since he was so humble about it. Tim ran to raise awareness and funds to fight a children’s disease called A-T, and his efforts raised $750,000 and generated 100 million media impressions. Now he’s created a nonprofit called Race For Good, which aims to connect people to causes they’re passionate about through a network of fitness-driven events and programs. Racing for good doesn’t mean you have to kick it into high gear and run a marathon. You could organize a field day for kids to raise funds for a cause that’s important to you. You could host a neighborhood sports tournament or fundraise with your team to buy uniforms and sports equipment for kids who might not be able to buy their own. Have other ideas about how to Race For Good? Share them with others on the WaysToHelp Facebook page. To learn more about issues you could support through adventure, check out WaysToHelp.org, and then let us know how your event goes! Mother’s Day is this Sunday, May 8th. Instead of buying a regular card or present, think about giving a gift to your mom or another special person you know that helps other mothers and grandmothers in the U.S. and around the world. Through Women for Women International, select a story that reminds you of a mom in your life, choose a card that features original artwork, and add your own message. Your donation will help women in war-torn countries rebuild their lives. Help fight breast cancer. All proceeds from Warriors in Pink clothing go to the Susan G. Komen Foundation for the Cure. Help alleviate extreme poverty by supporting the Seed a Dream campaign. You’ll receive a card to give to a mother in your life that says you’ve donated in her honor. Help mothers forced to raise their children in slavery by supporting the work of International Justice Mission. Have another idea? Share it with others on the WaysToHelp Facebook page. Celebrate Earth Day! Design a project to raise funds to drill water wells in developing countries. The good news: we can help change this. Simple solutions exist. We just have to be willing to do something to turn these solutions into reality. Check out this three-minute video to see how much improves when we help provide access to clean water, and then take a look at WaysToHelp.org to learn about creative ways to get involved. Here’s one idea. 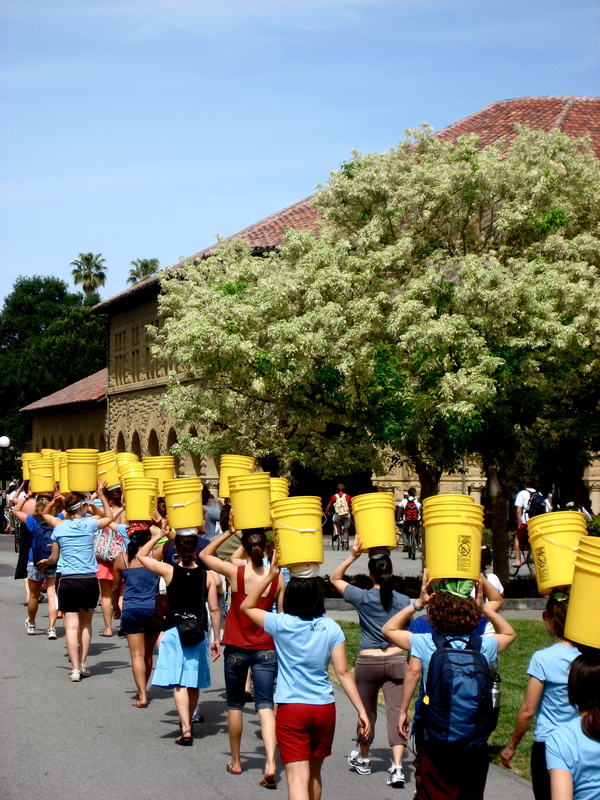 Last year, hundreds of college students participated in “Be Hope to Her,” a project to raise funds to drill water wells in developing countries. What if you brought this idea to your high school? Here’s a two-minute video from Nuru International that describes the event. Be the first to make this happen at your school or in your city! Then post your service project to www.YouthServiceChallenge.org to be eligible to win prizes. Today, when you take a sip of water, celebrate Earth Day by committing to take easy steps to help make clean water accessible to the one billion people who need it. Picture for a moment a funnel. Swirling within the wide portion of the funnel are three ingredients: your skills and aptitudes, your passions, and the needs of your local community and the world as a whole. When the funnel narrows, these three aspects intersect. What you’re good at doing and what you’re passionate about come into contact with and become part of the solution to a challenge your community is facing. A friend recently shared this metaphor with me, and the image has stood out in my mind during the first part of National Volunteer Week. Envisioning the funnel provides a focused way to think about what it means to volunteer effectively. Volunteering is first and foremost about the third ingredient: the individual people in your community. About 500 years ago, people began to use the word “volunteer,” initially in association with the military. Today, a volunteer in the military is willing to lay his or her life on the line to protect others. At its core, volunteering in the form of community service is the same; it’s about seeking ways to live life for the sake of others. The other two ingredients in the funnel make this element of service effective, enjoyable, and energizing. What are you good at doing? What do you love to do? When you use your skills and passions in the context of service, you’ll discover that while volunteering is ultimately about serving other people, it simultaneously contributes to your personal development as well. Check out this Skills Matrix from Hands on Network to see specific ways to enhance a particular skill through volunteerism. During the rest of this week, consider thinking about how the three ingredients can intersect in your own case, and create a vision for how you can use what you love to do as a way to impact others. To help you find a cause that you’re passionate about and for ideas about creative ways to get involved, take a look at WaysToHelp.org. If you’ve already moved forward with an idea, share your suggestions and stories of what you’ve learned from the experience with others at the WaysToHelp Facebook page. Are you a high school student? Post your project for the upcoming Global Youth Service Day (April 15-17) to http://www.gysd.org/, and remember to take 10 minutes to post your service projects from the 2010-2011 school year to www.YouthServiceChallenge.org to be eligible to win prizes! Destruction from Japan's most recent tsunami. 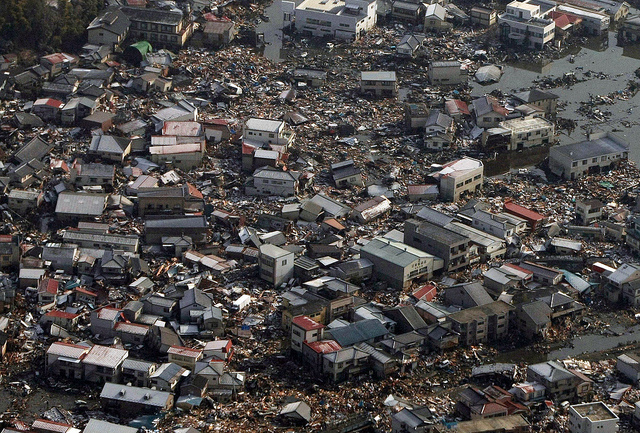 On March 11, 2011, a huge 8.9 earthquake and subsequent tsunami hit Japan, causing widespread destruction. Red Cross – is accepting donations toward it’s relief operations in Japan on it’s website and through texting REDCROSS to 90999 to donate $10 from your phone. Save the Children – is currently organizing efforts and donations to its Children’s Emergency Fund will support outreach. International Medical Corps – is responding to the health needs of the disaster’s victims with relief teams and medical supplies to help the injured. Donations can be made through Internationalmedicalcorps.org or by texting MED to 80888 from any mobile phone to give $10. Salvation Army – is organizing efforts in Tokyo and and the hardest hit region of Sendai. Donations can be made through SalvationArmyUSA.org or texting ‘JAPAN’ or ‘QUAKE’ to 80888 to make a $10 donation. Our thoughts go out to everyone affected by this disaster. The sunset over Kabul Afghanistan was absolutely gorgeous and there was a certain thrill to flying over an area where a war is supposedly being conducted. 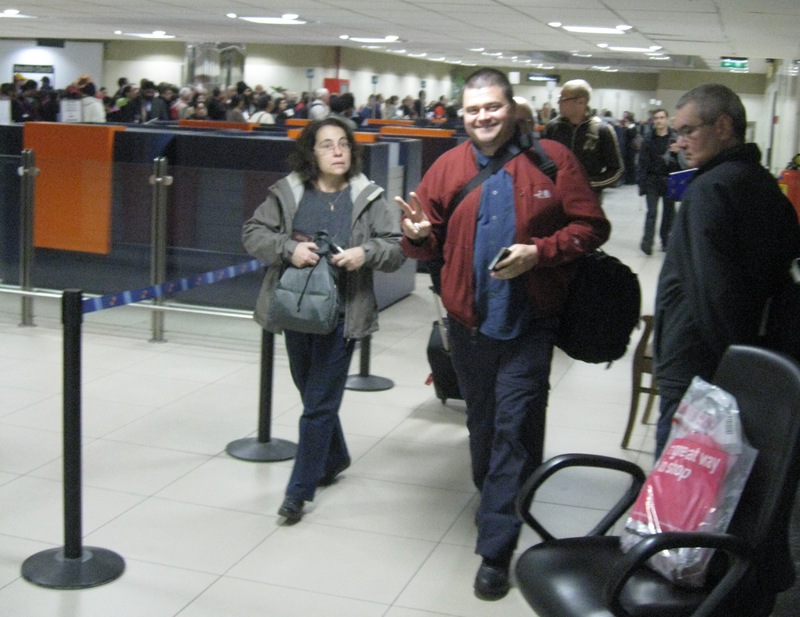 But the most exciting part of the actual trip to get to Delhi was seeing my friend Piotr at the Delhi airport! Piotr and I worked together nearly 15 years ago at McKinsey & Company in Chicago and have only seen each other once since then. But somehow we managed to stay in touch and keep up with each other’s lives. He’s definitely the adventurous type – accomplished skier, scuba instructor / cave diver, pilot, published photographer and thrill seeker (he’s been paragliding in the Alps and snowmobiling in the Arctic) with a passport that shows he has 60+ counties under his belt. So when I decided I wanted to travel to India and Africa to see some of the world’s most pressing issues first-hand, he was the first person I called. I think I left a voicemail… and it didn’t take much convincing – to my surprise, seeing the worst of the worst sounded like fun to him. And, more than that, 15 years at McKinsey & Company have given him the opportunity to establish a tremendous number of contacts all over the world. The sunset over Afghanistan is beautiful – Did I really just say that? 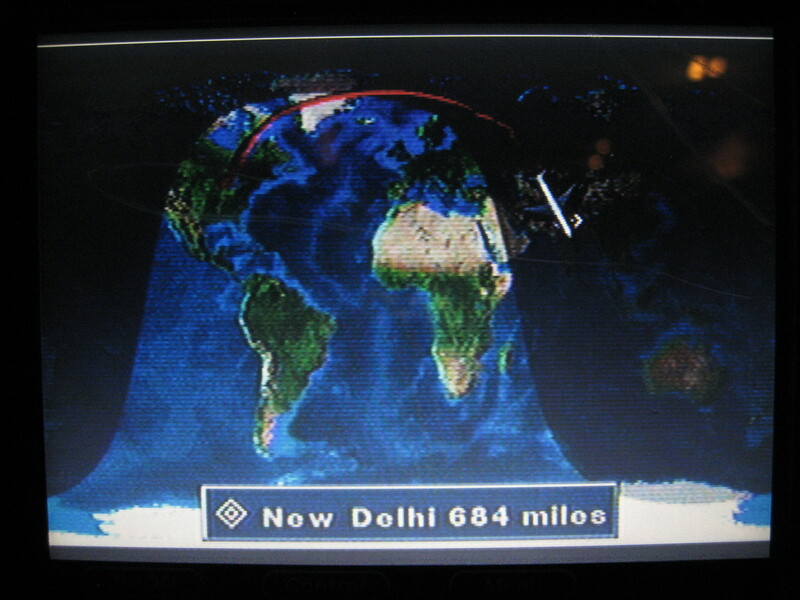 If you were wondering why I’d have to fly to Delhi via Chicago – rather than San Francisco or Los Angeles – you wouldn’t be the only one. Everyone I’ve talked to has wondered the same thing. But when you get tickets from San Francisco to Delhi to Kenya and back to San Francisco for $1450 you don’t quibble over the connecting airports. The miles – 24,000 in all! The opportunity to fly over Afghanistan. 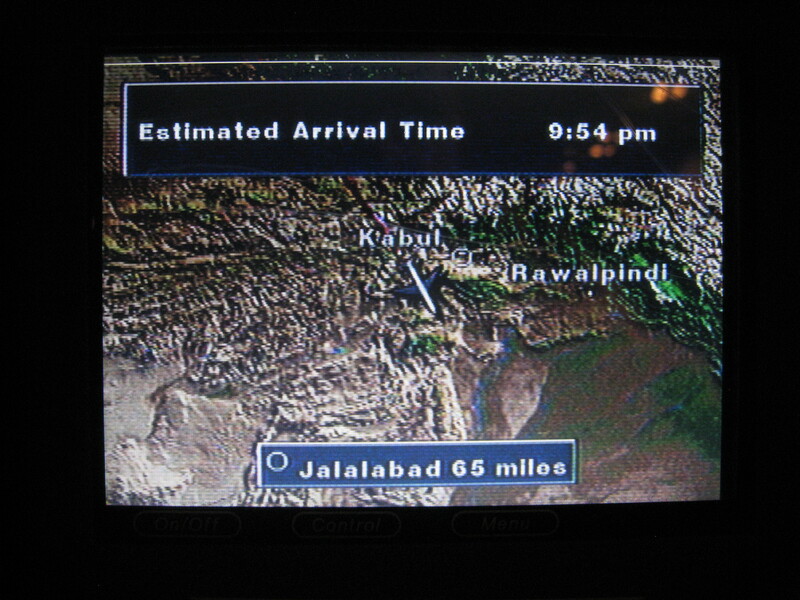 Afghanistan, it turns out, is probably waayyy more BARREN than you would imagine. When I first noticed that we were over it, all I could see was what appeared to be cracked dry clay (much like an empty riverved) for hundred and hundreds of miles. No sign of life whatsoever! Then about 30 minutes later mountains appeared that – from a depth and complexity perspective – might well rival the Grand Canyon… but still no signs of life. When we reached Kabul, I saw the most dramatic sunset of my life. And I wish I would have known how to use my new camera at that point in the flight because words will never do this justice. The sun sunk quickly in the sky turning the color of red molten lava burning from within. It rushed toward, and then pooled on, the horizon before finally disappearing all too quickly into the Earth’s crust… leaving behind intense layers of red, pink and orange stacked on top of each other – radiating from where it had been and extending across the entire horizon – which at 48,000 feet appeared to be about 1/3 for the Earth’s circumference. I’d never seen anything like it and it will be burnded into my memory forever. Saturday February 6th I was up very late… for about 3 weeks I’d known the trip to India was coming but somehow I still had a million and one things to do before my noon flight on Sunday. It was just after 1am when I went to bed – resolved to be up at 6am to finish packing and emailing everyone before my trip. “What!! Are you kidding me? 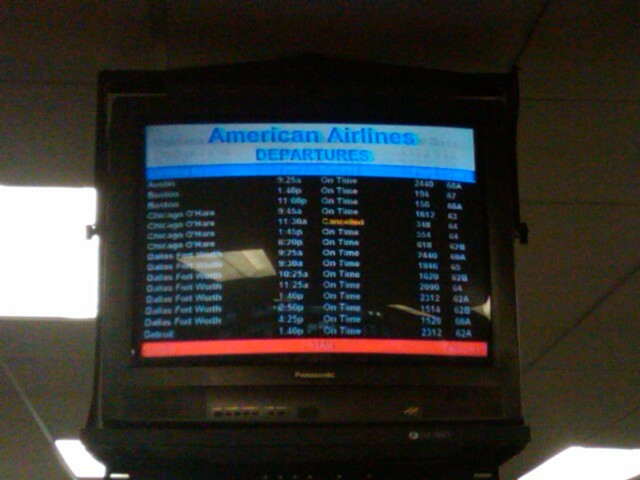 I need that flight to catch my flight to Delhi! Ugghh! Is the whole trip going to unravel?” These were the thoughts that ran through my head. As well as a few thoughts about being awakened at 3am by a recording with no further instructions. Honesetly, I couldn’t decide if I was happy to know right away or upset that they’d called me at 3 in the morning. Knowing that I had to get to Chicago… I spent the next hour and a half on the phone with American Airlines to book a flight that would allow me to make my connecting flight and meet my friend Piotr in Delhi as planned. When all was said and done, everything went quite well. New flight reservation, prompt cab, quick pass through airport security and an on-time flight. Now over my fleeting concerns that things might go wrong, I decided to take the 3am call as a sign that – even if things seem crazy at times during our adventures in India and Africa – things will work out in the end. This is going to be a great trip!